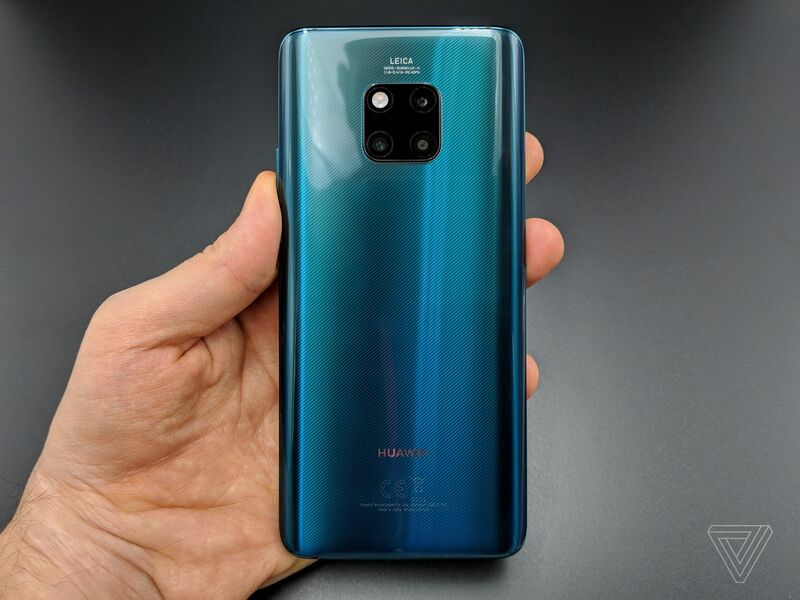 rriving fashionably late to the 2018 contest for super flagship phones, Huawei’s newly unveiled Mate 20 Pro combines basically every desirable feature of modern smartphones into a sort of spec-checklist device. Like the LG V40, the Mate 20 Pro has three cameras on the back, each offering a different focal length. Like the Vivo Nex, the Mate 20 Pro has an in-display fingerprint sensor. Like the iPhone X and Oppo Find X, the Mate 20 Pro has a so-called 3D face unlock for more secure authentication. And like Samsung’s Galaxy Note 9, the Mate 20 Pro has a high-resolution 6.4-inch OLED display. The Note 9 is definitely the phone Huawei is aiming to outdo with the Mate 20 Pro. 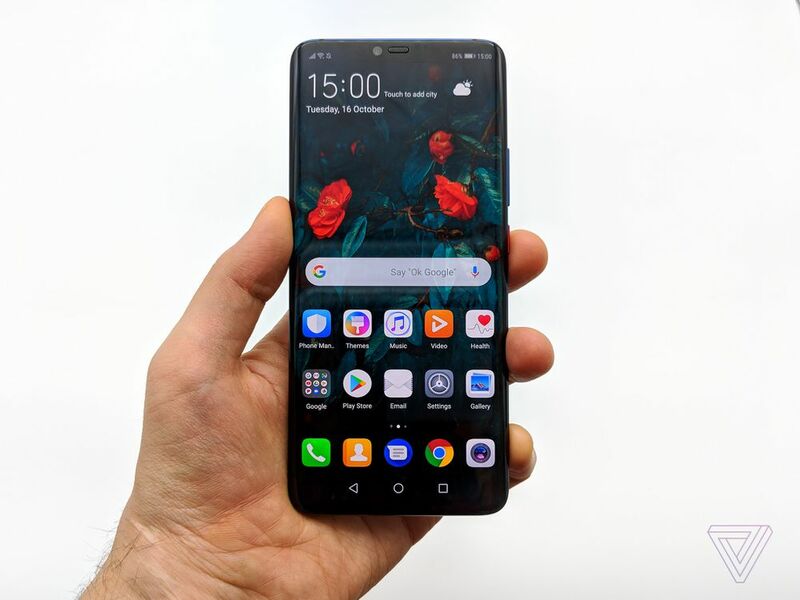 In briefings ahead of today’s launch event in London, Huawei stressed how much better its Android software is than Samsung’s, including claims of 22 percent higher stability in gaming performance and 14 percent higher power efficiency in the Mate 20 Pro than the Note 9. The new Mate device also has fast wireless charging, like Samsung’s, but Huawei goes a step further by also offering reverse wireless charging to Qi-compatible devices. That’s to say, you can use a Mate 20 Pro to wirelessly charge a Note 9 or an iPhone X / XS. The 7nm Kirin 980 processor that Huawei announced at IFA in September is making its official debut in the Mate 20 Pro. It’s worth revisiting the full set of world firsts that Huawei claims with this chip, though the main takeaways for me are better performance and efficiency than the prevalent Snapdragon 845, faster LTE with a Cat.21 modem supporting speeds up to 1.4Gbps, and a ton of AI processing capabilities baked right into the design. Exactly as with Apple’s A12 Bionic in the iPhone XS, the Kirin 980 has 6.9 billion transistors and includes dedicated neural processing units to assist with AI tasks. The main uses of AI on Huawei’s phones include system optimizations to minimize the device’s performance degradation over time — a common complaint with Android phones — and to do scene detection and automatic image processing in the camera. I say “the camera,” but it’s late 2018, so in literal terms that means multiple cameras. 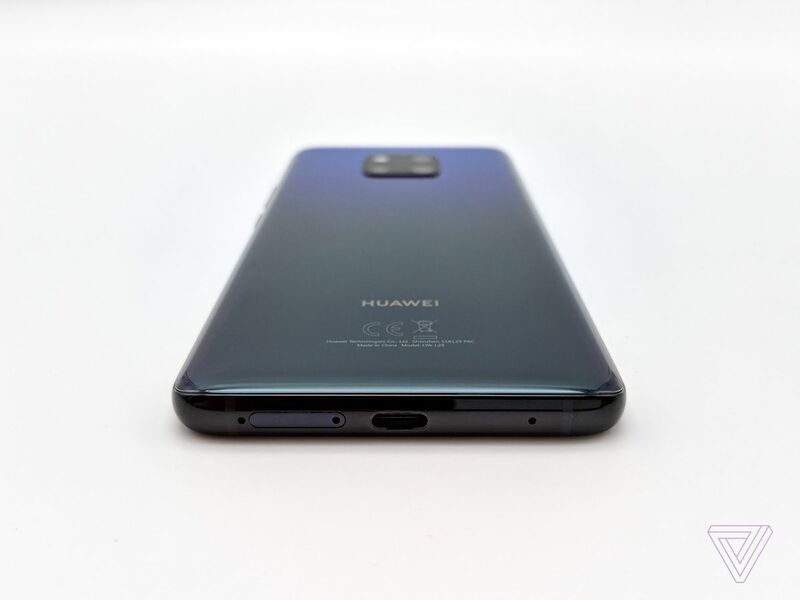 With the Mate 20 Pro, Huawei has ditched its monochrome sensor, which used to work in combination with the color sensor to provide sharper edge definition with less noise — Huawei says that its use of larger and better sensors makes the monochrome help unnecessary. 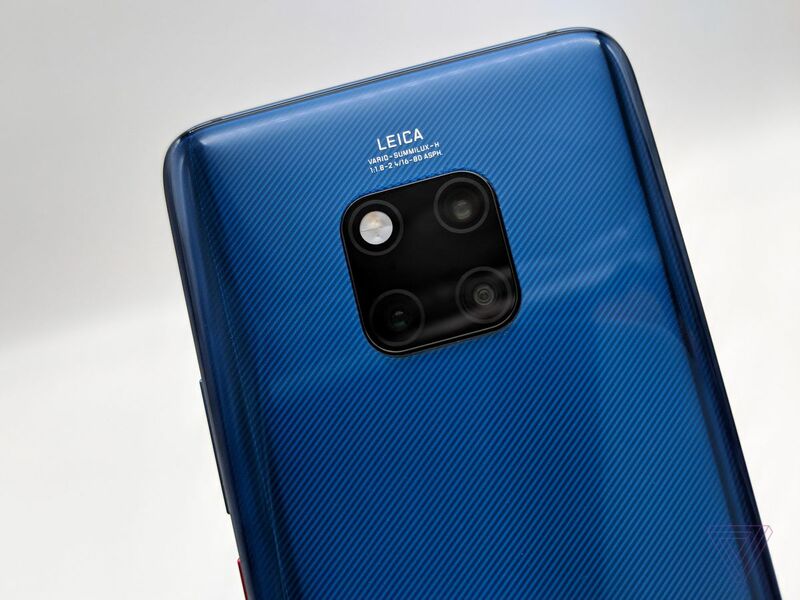 Instead, the company is implementing three different focal lengths, with one 20-megapixel camera for super wide shots, one 40-megapixel shooter in a conventional wide-angle, and one 8-megapixel telephoto camera. The end result, which includes an adaptive dual-tone flash, is the distinctive quad-circle array on the back of the phone. One of the cool evolutions in Huawei’s Master AI 2.0 image processing with the Mate 20 Pro is the ability to segment a photo into sections and treat each one differently. Previously, a phone like the P20 Pro would detect a blue sky in your photo and treat the whole image accordingly, resulting in exaggerated and unattractively artificial-looking lines in the scenery below. Now, the Mate 20 Pro is smart enough to recognize what part of the image is sky, process it accordingly, and to then identify the people, buildings, or objects under the sky and give them appropriate treatment. Alas, Huawei is still not offering an option to take a backup unprocessed image alongside its AI-processed ones, which means you’re still running the risk of having a photo ruined by over-aggressive AI tweaks. On the video front, Huawei is implementing a set of classic movie color modes, with the most immediately appealing one being a monochrome mode where only the people are in color. I tried it out for myself and, on the one hand, I was impressed by the effect when it worked. It does indeed lend a cinematic mood to even the most everyday situation. But it didn’t work all the time, and those occasions when the AI failed to adhere to the contours of a person’s body and mixed its colors up spoiled the mood. Huawei calls this color isolation mode AI Portrait, and just like portrait mode in photos, it’s very hit and miss. As with still photos, Huawei’s cinema color emulation modes are a destructive edit that you can only apply while shooting and can’t remove afterward. 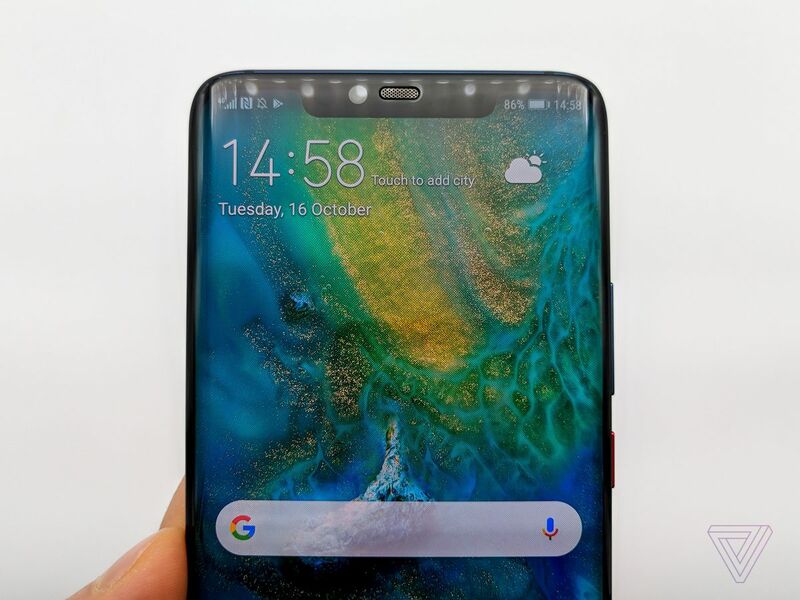 Like most Android flagships this year, the Huawei Mate 20 Pro has an iPhone-like notch at the top of its screen, but on this occasion, the notch serves the same purpose as on the iPhone. 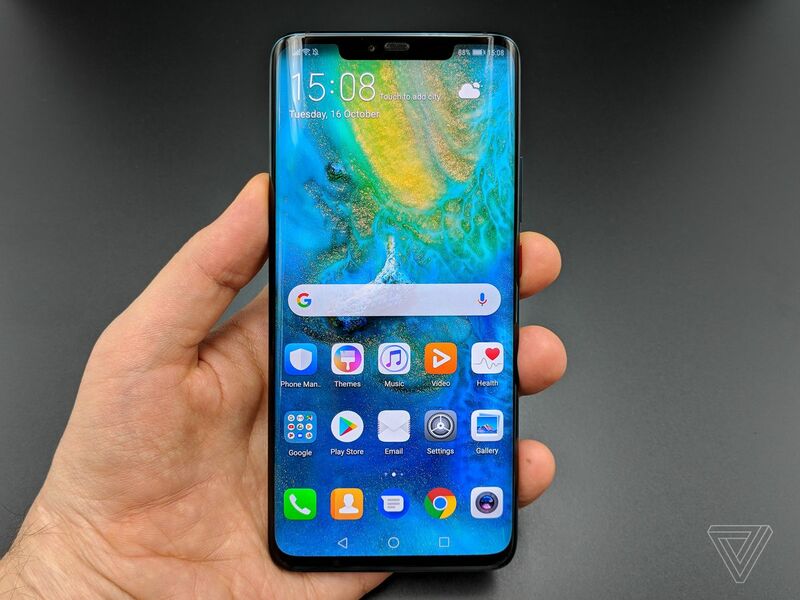 Huawei has built its own version of the iPhone’s Face ID, and it’s gone further by also implementing a fingerprint sensor into the Mate 20 Pro’s display, which the iPhone lacks. Both of those features will require in-depth testing to see how well they work, but they’re undoubtedly good to have. In terms of physical design, the Mate 20 Pro is admirably lithe for a phone that combines a 6.4-inch screen, a substantial camera array, and a 4,200mAh battery. It is the same height as my Pixel 2 XL, which is the same height as practically every other Android flagship device of this year. Don’t let Huawei’s large screen spec scare you off: this is a phone that’s usable with one hand, and with its extra tall 19.5:9 aspect ratio, it’s also not as large as a squarer 6.4-inch device might be. The Mate 20 Pro also has an IP68 rating for dust and water resistance, so that provides an extra layer of reassurance. 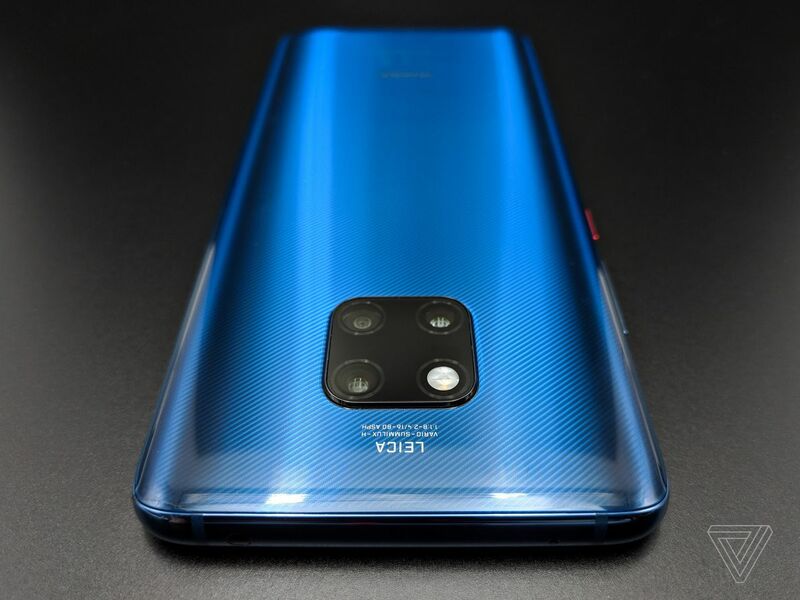 Huawei is introducing a new ridged finish with its Mate 20 Pro, which the company calls Hyper Optical Pattern. In human terms, it’s just a subtle texture on the phone’s rear that makes it less fingerprint-prone and easier to grip. It reminds me of the finish Huawei offered on the P9, and I prefer it over the smooth glass option. 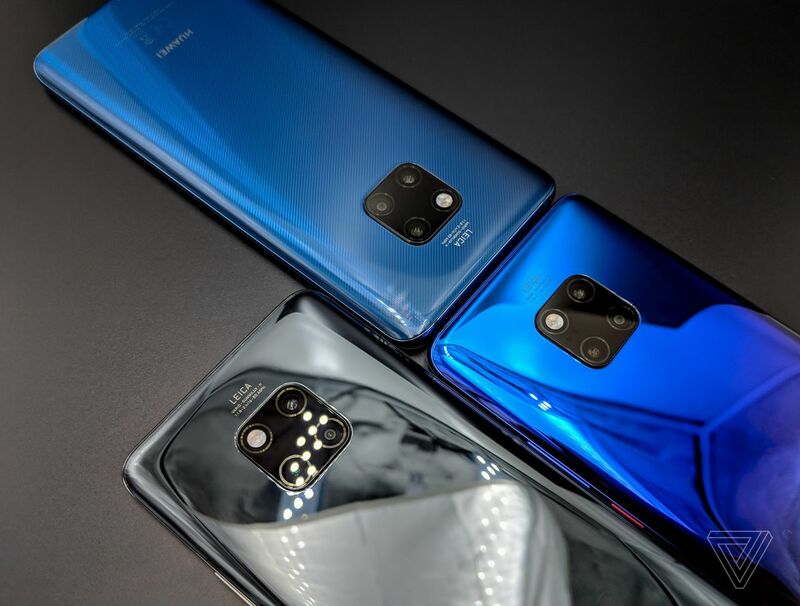 Huawei will sell the Hyper Optical Pattern in midnight blue and emerald green alongside its twilight gradient look, a black option that’s reflective enough to be called silver, and a pink gold that I have yet to see for myself. The Huawei Mate 20 Pro will be available with 6GB of RAM and 128GB of storage for €1,049 starting today.